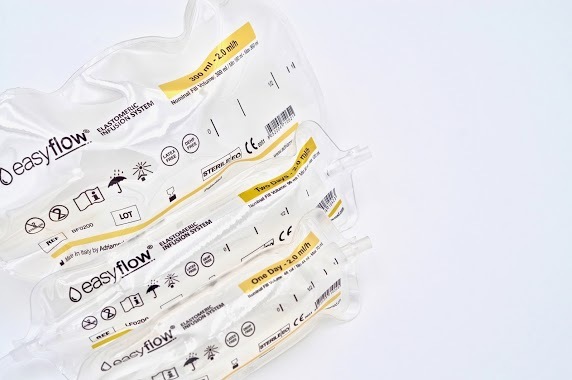 Easyflow is the only fully soft elastomeric infusion system for drug administration. 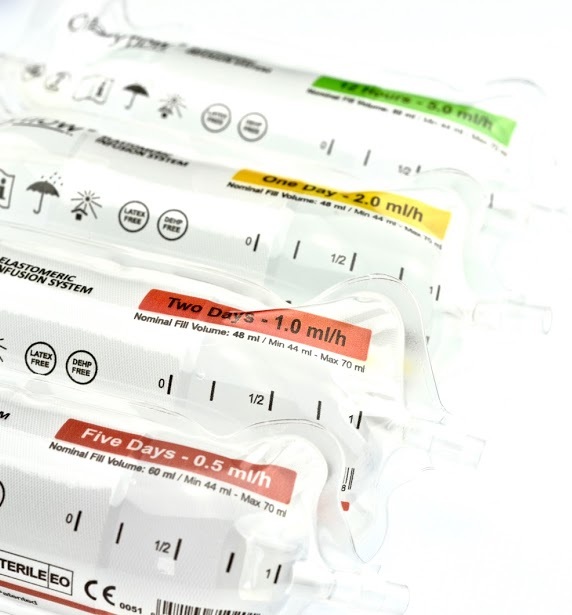 It is used for the continuous infusion via intravenous, intra-arterial, epidural or subcutaneous routes according to the specific clinical protocol. It may be used for the following treatments: chemotherapy, acute and chronic pain therapy, chelation therapy, antibiotic and antiviral drug therapy. Easyflow combines safety, lightness and reliability. Thanks to the design and the materials (UV-Ray resistant, DEHP Free, Latex Free), it is a discreet disposable, comfortable and accurate. All this means maximum patient safety and satisfaction. Easyflow means 100% quality and safety. Every single device is tested (flow rate, leackage, packaging) to guarantee perfection and comfort during the treatment. Easyflow complies to the ISO 28620 norm (what is it?). The elastomeric thrust system is made with an innovative material that guarantees the flow constancy and a superior accuracy (+/- 10%). The complete system is UV-Ray resistant, DEHP Free, Latex Free. Easyflow is a closed system device. It is equipped with a one-way needleless filling port that means safety for the user, hospital workers and patients. 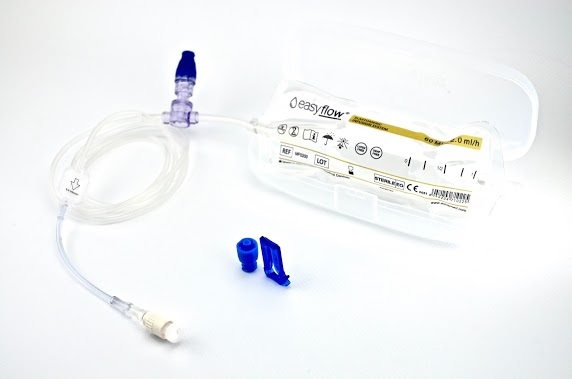 This system prevents any loss during the drug filling and guarantee a perfect connection. A first filter on the filling way avoid any possible passages of small splinters of glass or any foreign body inside the system. Thanks to the softness of the materials it is the easiest pump to load, light force needed. The integrity of the connections and the tightness of the valves are tested one by one. Again, 100% quality and safety. 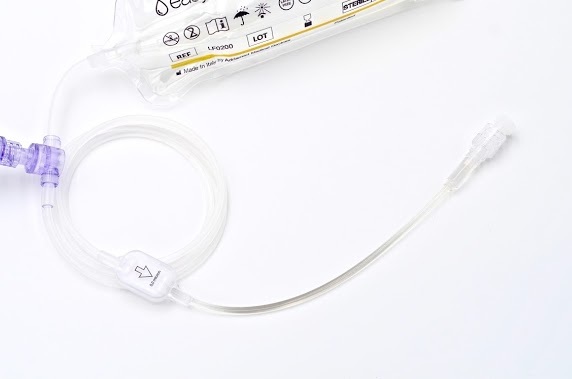 Easyflow is equipped with a solution filtering system that allows the automatic priming of the infusion line to guarantee the expulsion of any air bubbles. 0.02 μm airventing for air expulsion. 0.2 μm distal end filter for automatic priming. In few minutes the system will be ready to use in a completely safety way. The luer lock closing cap is equipped with an hydrophobic membrane which allows automatic priming of the system. 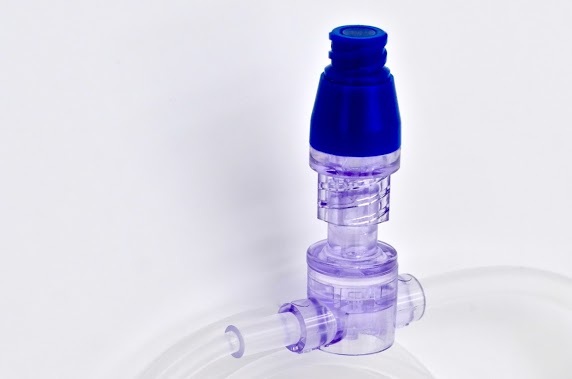 Once loaded the pump, the air will be expelled directly from distal end cap and the solution will be immediately available without further time to wait. Plastic flow restrictor, no risks from glass. Plastic flow restrictor assures the flow precision and does not present the very dangerous risk of breakage as in the glass ones. Moreover, due to its conformation, plastic guarantees a much more accurate flow and is less affected by external agents such as temperature and internal agents such as viscosity of the drug. Easyflow flow performance is constant and accurate (+/- 10%). Nominal flow refers to a saline solution (NaCl 0.9%). The flow rate may increase or decrease with decreasing or increasing viscosity of the solution to be injected. DFO setting for Deferoxamine (DFO) infusion (Iron chelation, Thalassemia): Nominal flow refers to a 3.0 grams +/- 10% DFO solution. 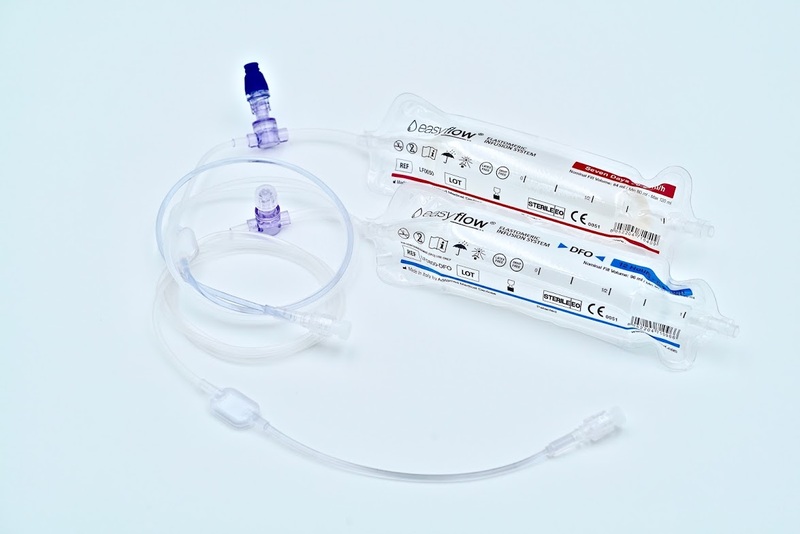 Easyflow is supplied with a practical patient portability system, a data label and an additional cap. An hard case for extra safety is also available as an option. Can be used in several therapies: anaesthesia, oncology, antibiotic and antiviral therapy, pain therapy, thalassemia. Easyflow has been tested for compatibility and stability with the most frequently used drugs. Studies are available upon request, just email us at easyflow@adriamed.com. 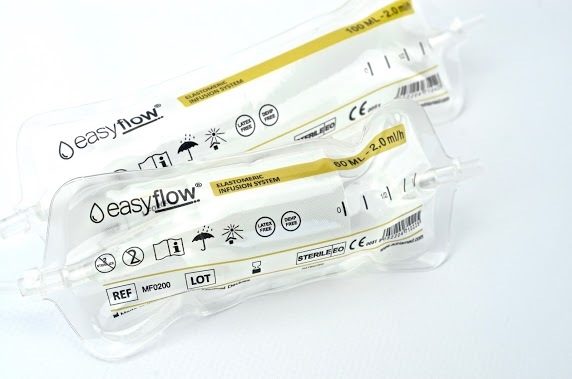 Easyflow is used for continuous infusion via intravenous, intra-arterial, epidural or subcutaneous routes. It is used in the main clinical areas in hospitals and home care treatments: anesthesia, oncology, antibiotic and antiviral therapy, pain therapy, thalassemia. Easyflow pumps are tested one by one. The flow rate, the integrity of the connections and the whole device are controlled through the use of an innovative, calibrated and certified electronic system. The flow rate control method has been submitted to validation. 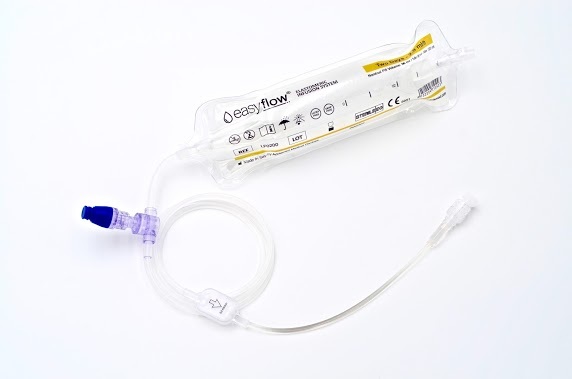 Easyflow is a patented medical device. Tout sur ce site, la documentation, le contenu, les textes, les images, le logo, les illustrations et les graphiques sont la propriété de notre société. La copie et la reproduction de contenus et d'images sous quelque forme que ce soit sont interdites.